I got an ice cream maker, and wonderful things are happening. 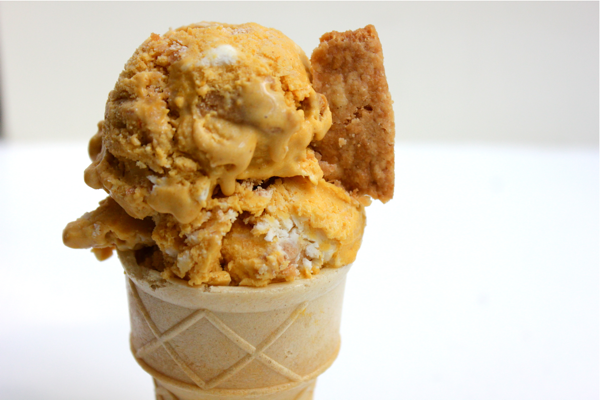 I have had my eye on this pumpkin, cream cheese and pie crust swirl ice cream for years. Years. The wait was worth it. I know that the flavors are better suited for fall than sweltering summer, but I wouldn’t dare delay you from experiencing this pleasure! I still can’t believe that this ice cream came from my kitchen. 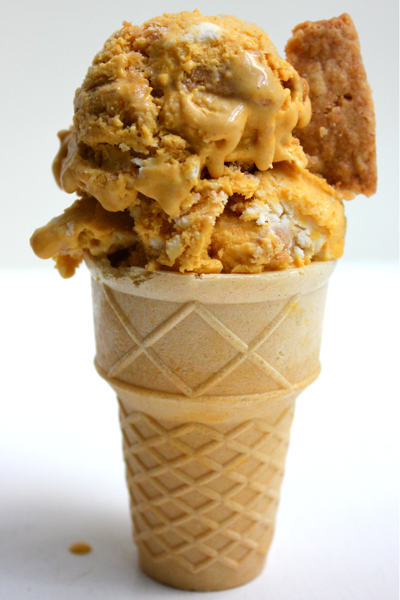 To make this ice cream, start by combining 12 ounces of puréed pumpkin, 1/4 cup of brown sugar, 1 teaspoon of vanilla extract, 1/2 teaspoon of cinnamon, 1/4 teaspoon of nutmeg, and 1/4 teaspoon of ground ginger in a large bowl. 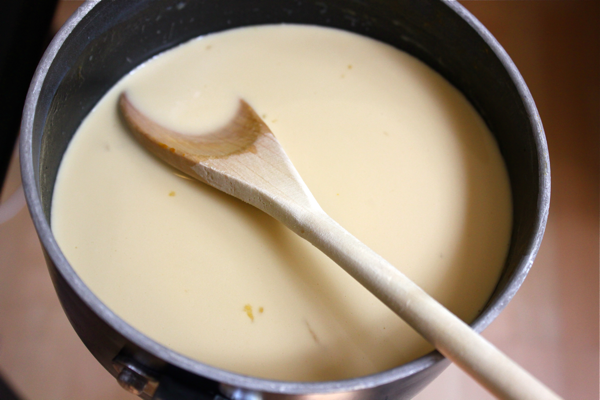 In a pot, heat 1.5 cups of heavy cream and 1/4 cup of brown sugar, but do not let it reach a boil. Once it is warm, add in 5 egg yolks. 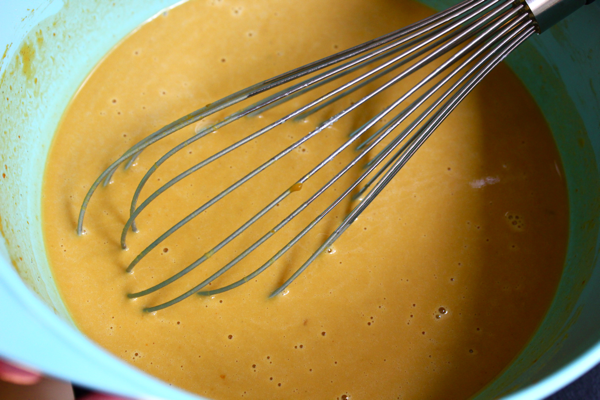 Stir the mixture constantly for about 5 minutes until the mixture has thickened enough to coat the back of a spoon. 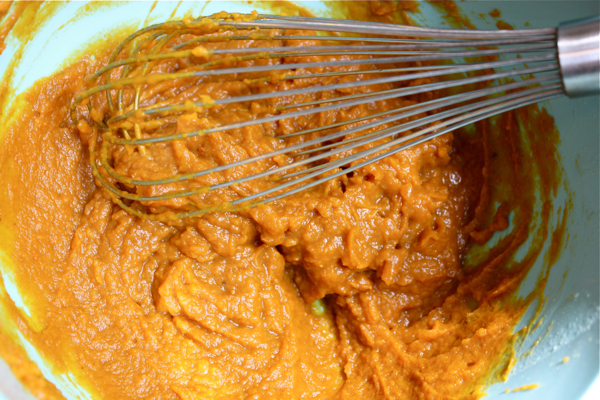 Add the heated cream to the bowl of pumpkin, and combine them together. Put the bowl in the fridge for about 2 hours or until it is completely cool. In a food processor, pulse together an 8 ounce brick of cream cheese and 1/2 cup of white sugar. Once the cream cheese is beaten, add in 1 cup of heavy cream, and pulse everything together. Put the cream cheese mixture in the fridge to chill as well. If you taste it at this point, you might not be able to stop. 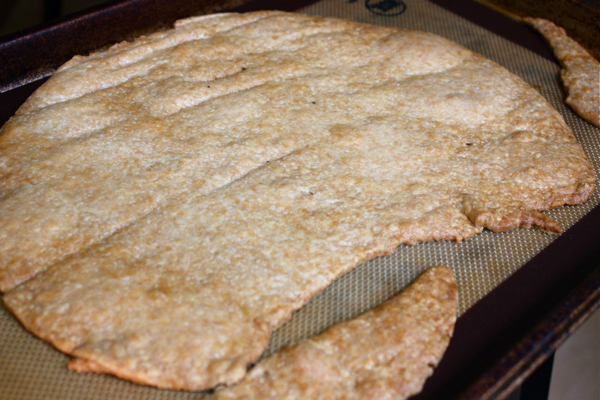 While the two mixtures are cooling off, bake a pie crust. I used a frozen one, but you can make your own if you prefer. 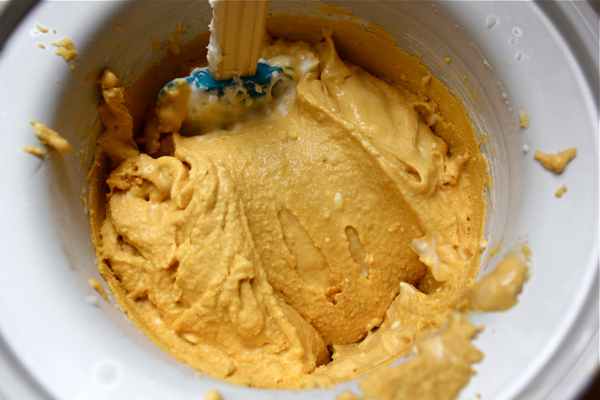 When the pumpkin mixture is chilled, churn it in an ice cream maker according to the ice cream maker’s instructions. 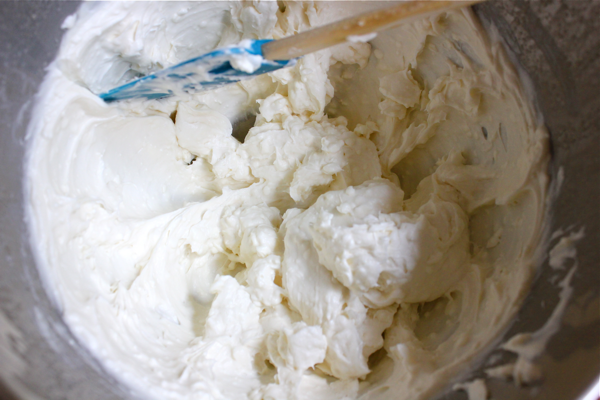 When 5-10 minutes remain in the churning process, add in 1/3 of the cream cheese mixture. 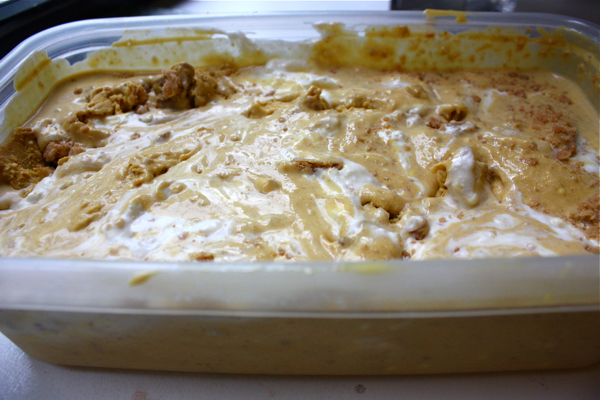 Transfer the pumpkin ice cream to a large container. On top of the pumpkin, spread the rest of the cream cheese mixture, and finely crumble over 1/2 of the pie crust. Use a knife or spatula to swirl the cream cheese and crust into the ice cream. Transfer the ice cream to storage containers, and put them in the freezer to completely harden. Before serving your ice cream, let it soften at room temperature for about 10 minutes. Then scoop it out, and garnish it with the remaining pie crust. Or eat it right out of the container. Just try to keep it away from pumpkin-loving puppies! This recipe was adapted from M Cubed. How do I pin this to my recipes on Pinterest? It sounds yummy!! Click the Pin it button at the bottom of the post. I need a recipe for roasted veggies. Can eggplants be roasted? I am a pumpkin freak. I can’t wait to try this. 😛 Totally just made my day!